(by Diana Stancy Correll, Washington Examiner and AmericanHumane .org) – Five dogs who served in the U.S. military were awarded the American Humane Lois Pope K-9 Medal of Courage at a Capitol Hill ceremony on October 13 to recognize the canines’ extraordinary valor during their time of service. “By helping locate enemy positions, engage the enemy, and sniff out deadly [improvised explosive devices] and hidden weapons, military dogs have saved countless lives in the fight for freedom and they deserve the recognition they are getting this evening,” Rep. Gus Bilirakis, R-Fla., said on Wednesday, Oct. 13 on Capitol Hill during the awards ceremony. “Nowhere is the power of the human-animal bond more apparent than it is between our men and women in service and their faithful military dogs,” he said. Four of the dogs who received the awards were present, as one has died. Gabe, who engaged in more than 200 combat missions in Iraq before passing away in 2013. “Soldiers have been relying on these four-footed comrades-in-arms since the beginning of organized warfare and today military dogs are more important than ever in keeping our service men and women safe,” said American Humane President and CEO Dr. Robin Ganzert said. “Each dog allows so many services members to come home to be moms and dads, or sons and daughters. At American Humane…we feel it is time to recognize and honor the extraordinary feats and acts of devotion these heroic animals perform every day.” American Humane has worked to assist those in the U.S. military, veterans, and military service animals for more than 100 years. The Lois Pope K-9 Medal of Courage was created by American Humane and veterans advocate Lois Pope in 2016. Four dogs received the award in its inaugural year. “These remarkable dogs work side-by-side with the men and women of our Armed Forces, performing vitally important and life-saving work, while putting their own lives on the line for our country,” said Mrs. Pope, who conceived and spearheaded the American Veterans Disabled for Life Memorial, which was dedicated in Washington D.C. in October 2014 as the nation’s first and only permanent public tribute to the four million living disabled American veterans and all those who have died. “It is high time that [the dogs’] valiant sacrifices and contributions to our nation and our men and women in uniform are properly recognized at the highest levels,” Mrs. Pope noted. Read about each dog under “Background” below. From WashingtonExaminer .com. Reprinted here for educational purposes only. May not be reproduced on other websites without permission. 2. When was the American Humane Lois Pope K-9 Medal of Courage established? 3. Why was this K-9 medal established? 4. Today’s Daily News Article is a human interest news story. Human interest stories differ from the regular news – they are sometimes referred to as “the story behind the story.“ The major news articles of the day tell of important happenings. Human interest stories tell of how those happenings have impacted the people or places around the story. Do you think this human interest story is newsworthy? Why or why not? 5. What inspires you most about this story? Most military dogs have anywhere from two to seven handlers over the course of their military careers. Coffee only had one: U.S. Army Sergeant First Class James Bennett. Coffee started and ended her military career at SFC Bennett’s side. The two became partners almost a decade ago, when Coffee entered training at Lackland Air Force Base in 2006, where the Chocolate Lab learned to become a specialized explosives-detection dog. Together, Coffee and SFC Bennett served three tours of duty in Afghanistan, working together to locate lethal bombs and other security threats. Coffee faced full-on attacks and deadly ambushes by the Taliban, who specially targeted her because of her lifesaving value to our troops and the danger she posed to them, but she refused to waver. She never once failed to bring home all the soldiers she was sent to protect. Coffee supported her fellow Army comrades off the battlefield, too, boosting morale and bringing love and comfort to the brave soldiers fighting far away from home. Coffee, now 13, retired in December 2016, concluding nine-and-half-years of military service. SFC Bennett was honored to adopt his best friend and battle buddy when Coffee retired, welcoming her into his family, including his wife, Lindsay, and their three children. Explosive Detection Dog Alphie worked under some of the most dangerous conditions during his two tours in Afghanistan, entering and clearing villages for IEDs, making vital finds of weapons and communications equipment, and working with our warriors to surprise the Taliban and take out processing plants for illegal narcotics used to finance the war against our troops. Alphie and his handler at the time, Marine Lance Corporal William Herron, served in Helmand Province, one of the most perilous areas in the country, and Alphie had his share of close calls, being shot at numerous times, and once almost falling out of a V-22 Osprey that was part of a group of military aircraft under fire. This heroic Black Lab, now seven years old, retired from military service in 2014, but he continues to work to keep America safe here at home. Today, Alphie works as a member of the TSA’s elite Canine Explosives Detection Program, together with his partner and TSA handler, Lesley Runnels. In keeping with his previous distinguished service, Runnels reports that this courageous canine is extraordinarily dedicated, never tiring in his focus and vigilance. During their three years together, the team has served in airports across the country—including Chicago, New York, Orlando, Seattle, Tampa, Denver, and Fort Meyers — joining the 60,000 men and women of the Department of Homeland Security’s Transportation and Security Administration to fight terrorism on the home front, and tirelessly working to keep us all safe. Ten-year-old Military Working Dog Capa has been awarded the Navy & Marine Corps Commendation Medal for meritorious service, was deployed to Iraq in support of Operation Iraqi Freedom from Japan while serving as an explosives/patrol working dog, and was tasked to provide security for four missions protecting the President of the United States, another protecting the First Lady, and yet another helping safeguard the U.S. Secretary of Defense. Capa protected literally thousands of American troops during his nine years of Navy service as a highly trained explosives-detection dog. Capa’s lifesaving contributions were essential in providing safety and security for a fleet of a dozen U.S. Naval ships and 26,000 personnel, including his handler, U.S. Navy Master-at-Arms Second Class Megan Wooster. Capa’s superior performance has always been the hallmark of his career and this award highlights nine years of honorable and dedicated naval service. Capa is now living in well-deserved retirement with MA2 Megan Wooster. Military Working Dog Ranger saved uncounted lives—and risked his own—in service to our country. 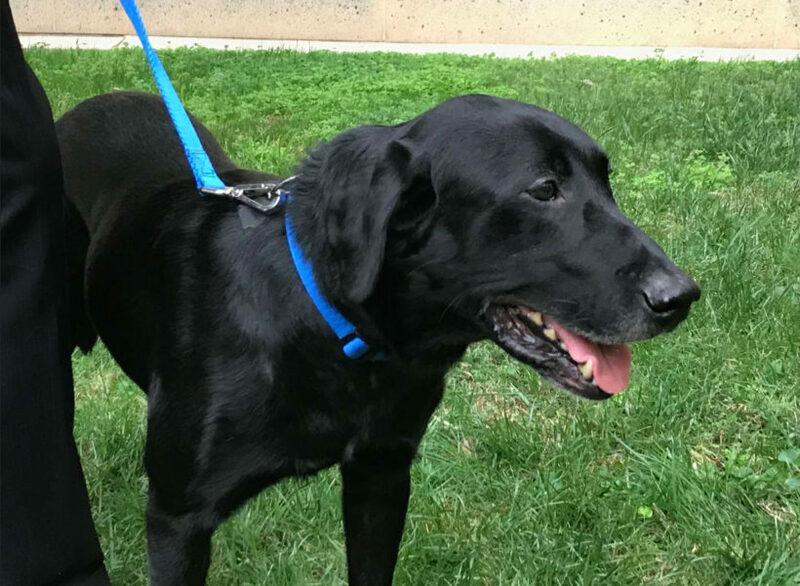 The eight-year-old Black Lab bravely served in Afghanistan and Iraq, where he worked as an explosives-detection dog specializing in improvised explosive devices, or IEDS—the leading cause of death of American and allied troops in the War on Terror. While working, Ranger suffered heat stroke and retired from military service in 2012, finding the loving forever home he so deserves. Kirk Adams, a retired police sergeant, and his wife were proud to adopt the four-legged veteran and welcome him into their Raleigh, N.C., home. Even though Ranger is no longer on duty and is now battling cancer, Adams says his work ethic is undiminished: whenever a car comes down the driveway, whether it’s a friend, neighbor or relative, Ranger is on the case and diligently checks out the vehicle for bombs. A true hero, Gabe was a life-saving Specialized Search Dog who served our country by completing more than 210 combat missions with 26 explosive and weapons finds in Iraq, saving countless American soldiers’ lives on the battlefield. He passed away in the arms of his adopted Dad, Army SFC Chuck Shuck (Ret.) in Columbia, S.C, , February 13, 2013. Gabe was a pound puppy languishing in a Houston, Texasanimal shelter when he was adopted and trained by the United States Military. Proving beyond a doubt that adoption saves lives, Gabe began his service as a Specialized Search Dog for the United States Army in 2006 and after three years of active duty retired in 2009 having earned more than 40 awards and coins of excellence. He was selected as the American Kennel Club Heroic Military Working Dog in 2008, and won the top title of American Hero Dog at the annual national American Humane Hero Dog Awards ™ in 2012 (youtube.com).